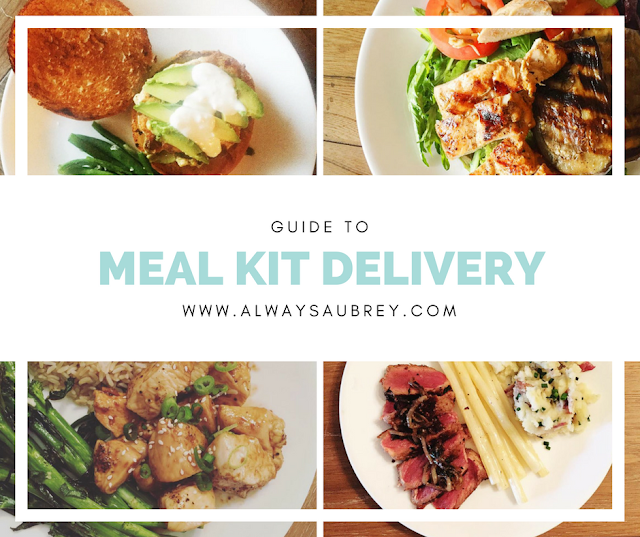 I've ordered a number of different meal kits to try, through discounts and referral links from friends. I was going to keep doing individual posts like I've done before, but then I realized that having a guide with a bunch of them might help you more. I've ordered all of these on my own, with some discounts or freebies from friends. All opinions are my own! First off, why meal kits? They are pre-portioned, organized, and often cheaper than dining out. The ingredients change with the seasons, so you're focused on fresh produce. The recipes can push you to taste something new, practice a new cooking technique, and bring variety to the table. For me, they are convenient time-savers; I don't have to shop for recipe ingredients, and I don't have to adjust recipes to two servings for our household. How does it work? Using a web browser or app, you select recipes in advance. You choose your delivery day, and your account is charged when your box ships. An insulated box of ingredients shows up at your door. You have to refrigerate it all typically within 24 hours, but it does fine left out during the day if you're stuck at work. There are recipe cards with visuals to guide your cooking. What's the cost? I've found that the ones that I ordered ranged in price (depending on how many meals or servings you order) from just under $10 to $12.50 per serving on the high end. Many of the services offer a free trial, especially if you have a friend who has freebies to gift you from using the service themselves. I have been able to gift a lot of free boxes! Also of note, it may ultimately save you a little money in that you don't have to buy a whole bottle of hoisin sauce or a pricy spice for a recipe, because they include it in the box. What are the negatives? I'd say the box and packaging waste is probably the biggest negative. Some might cite the cost, but I know how much dinner for two costs me in my local takeout market comparatively. It's debatable whether it's cheaper than the cost of groceries, so there is a convenience cost of sorts. Also, only one meal kit actually shipped an egg, so you often have to have things like eggs on hand for recipes, and some more common things like olive oil, salt, and pepper. Sometimes the recipes aren't as tasty as you anticipated, but I've found for the most part I'm trying something I haven't made before. 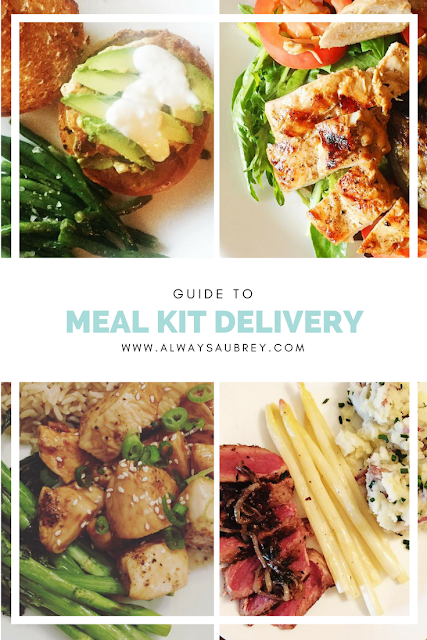 Overall, for me the positives outweigh the negative, and I've found that having a couple of meals shipped to me every other week or so really helps with menu planning and time. And funny enough, it has inspired me and given me the confidence to cook more, so I've actually sought out my own recipes to try! It definitely helps get you back into the routine of cooking. Best for... foodies and fans of dessert! Plated is hands-down my favorite meal kit service. We've been using it for a long time (over 70 recipes tried! ), and we've seen the platform update along the way. I love the variety of recipes, beautiful recipe cards, options for dessert, and ability to pick 2-4 servings per meal! Now, they even bring back top-rated recipes for you to try or reorder based on seasonality. It's also great that they organize each recipe in its own bag, so you don't have to search around the fridge for all the bits of the recipe. Great customer service, too. I think Plated has a lot of great foodie flavor profiles. I'm pushed to try new techniques, ingredients, and other things I wouldn't necessarily pick out for myself. We've found that two meals per week is kind of a happy medium for us, with the rest of the meals being something we cook or restaurant meals. It's one of the pricier ones ($12/serving) but I found that it's worth it! (See my full review of Plated here.) None of the other services I tried tempted us to deviate from Plated. We would pause our Plated box to try others, and it just wasn't the same to us. Best for... families and budgets! Best for... those who don't want a subscription and love Southern-inspired dishes! I found Peach Dish while researching different meal kits, and it kept coming up as a great-tasting option in reviews. I liked the recipes! That said, it's a very expensive service shipping-wise. You can get boxes without subscribing, but you have to pay a pretty steep shipping fee, unless I'm reading things wrong. I think it's one of the better-tasting kits on the market, and the ingredients were great. Many of the recipes were developed by chefs, too. So if you just want to order a kit from time to time, and premium pricing doesn't throw you off, try Peach Dish! Hello Fresh had some nice touches, like including a recipe book with more than just the recipes you selected for your box. Nice bonus! The packaging is also great if you're super-organized, as each recipe's ingredients comes in a little box. Good for stacking and organizing in the fridge. They also have a good number of vegetarian options; we didn't try any of the vegetarian-focused services, since we are meat-eaters, but Hello Fresh did make me look twice at the number of choices they had. We had one hiccup with our box, as some of our meat had a packaging hole and bled out into the box; we tossed it for food safety and bought some meat at the grocery store to replace it. Another one where the flavor just kind of underwhelmed us. I also felt like it was hard to pick recipes that we wanted to try. Definitely lots of good whole foods in the recipes, but not the match for us. No issues with shipping. Not a lot to say, to be honest. Honorable Mention: The Dinner A'Fare. Best for... people who don't want to do any meal prep at all. I ordered from The Dinner A'Fare a few years ago, back when I was living alone. They have family-sized meals, but also single-serving portions that are perfect for solo cooks. These are FROZEN meals, prepared and shipped to you, and they take 30 minutes to prep. Any cooking level can have a decent meal. I remember these meals tasted alright, not super fresh (trade-offs, you sacrifice this a little for the convenience) but really easy and cheaper than takeout all the time. Another frozen option is Schwan's; I remember seeing those trucks when I was growing up, but never tried it! What's your favorite meal kit service?